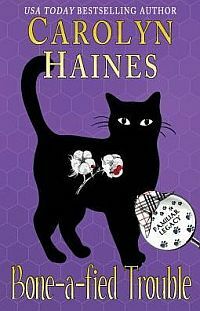 Back in 1990 I wrote a romantic mystery about a savvy black cat, Familiar. He had escaped from a research facility and was taken in by a young woman, Eleanor. But Familiar, who saw himself as something of a Humphrey Bogart character, had a dark secret—one that put Eleanor and veterinarian Peter Curry in grave danger. At the time, I was writing as Caroline Burnes for Harlequin Intrigue. Tahti Carter, my fabulous editor, suggested I make Familiar a series. And I wrote 17 Familiar stories. 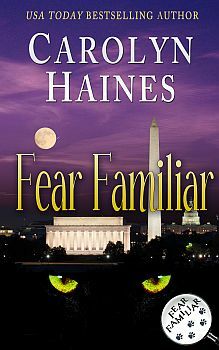 I’ve had some of the titles returned to me and I’m reissuing them, beginning with the very first, FEAR FAMILIAR, followed by TOO FAMILIAR in May, and THRICE FAMILIAR in June. But in July—I’m launching a new series. Trouble, son of Familiar. And I have some big, big surprises in store for the many readers who have constantly requested the return of the black cat. Exciting! So refresh your memory about Familiar at this special price—or join in the fun for the first time. The black cat detective is back!